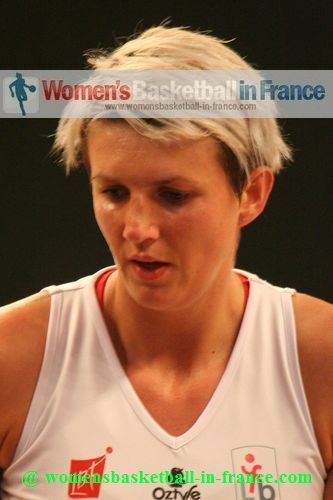 Lyon have recorded their first ever victory at the Open LFB with a comfortable victory against Arras (75-63). Lyon were without two key members of their team but still had too much experience for Arras. Veuillez trouver en bas du page notre reportage sur le match en français. Laurent Buffard explained after the match that his players have worked hard over the past few weeks but still had a long way to go before becoming perfect. 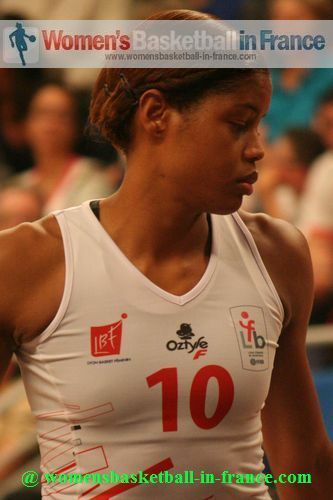 Lyon took control of the game early in the first quarter leaving Arras to chase the game. Arras had one of those days where the ball refused to drop which did not help their cause. They also made a few basic errors leading to costly turnovers. Despite a solid final quarter Arras were never going to win this game. Some pictures and parts of the press conference are to come later. This match will be available to watch on our Web-TV service. 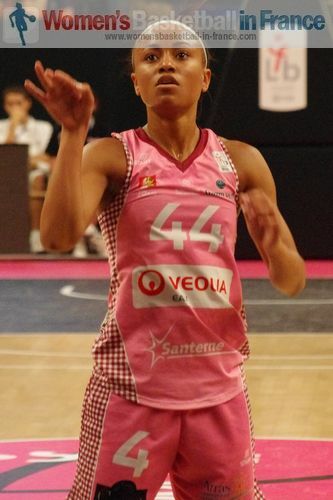 Sandra Dion-Géradin opened the scoring in this game after almost three minutes of play to the delight of the Arras fans. However their joy was short lived with Lyon scoring 8 points in a row which resulted in Thibaut Petit calling a time-out with his team trailing (2-8). 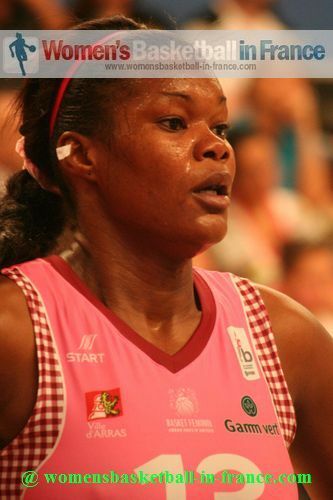 Then it was the turn of Krissy Bade to shine for Arras with some clutch shooting. 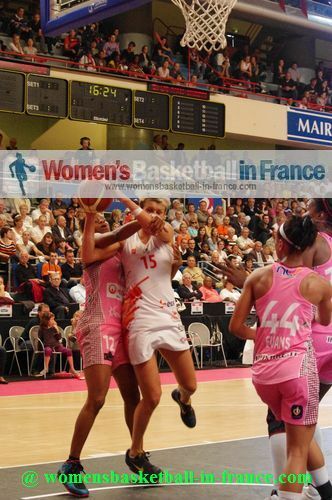 But in the end it was Lyon that powered their way to lead (18-11) by the end of the first quarter. Arras failed to hit the basket all during the second quarter while Lyon continued to be effective in all sectors of the match to go ahead (42-26) by half time. 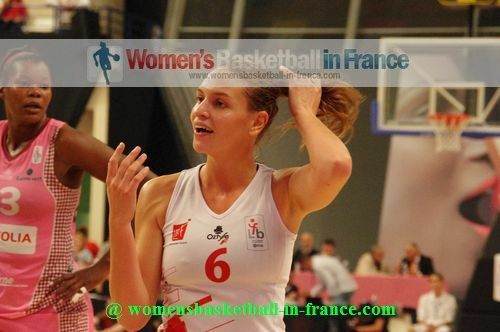 For Lyon Danielle Pagem Mame-Marie Sy-Diop and Emilja Podrug continued to have a free run under the basket as their side completely dominated their opponents during the ealier part of the third quarter (53-32). 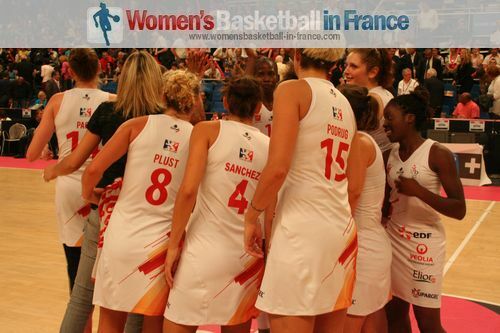 Lyon relaxed towards the end of the match but still had a big advantage to win (75-63). Après presque trois minutes de match, Sandra Dijon-Gérardin a marqué le premier panier de la rencontre sous l’applaudissement des supporters d’Arras. Cependant leur joie était de courte durée avec Lyon marquant 8 points d’affilée. Thibaut prit un temps mort pour stopper les Lyonaises (2-8). 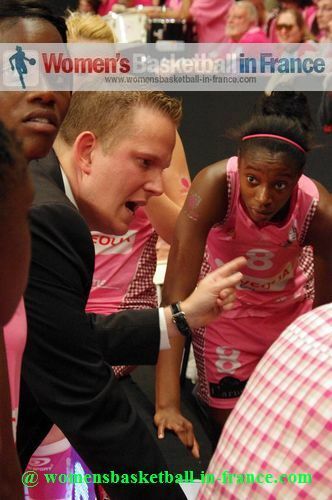 Krissy Bade trouva son adresse pour Arras et aida son équipe a revenir au score, mais Lyon était toujours à la mène (18-11) à la fin du premier quart-temps. 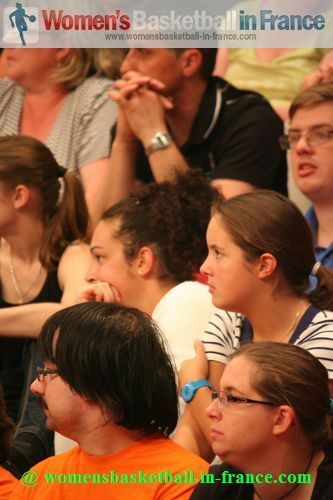 Arras n’arrivait pas à trouver son adresse et tout semblait réussir pour les Lyonnaises qui creusaient l’écart (42-26) à la mi-temps. 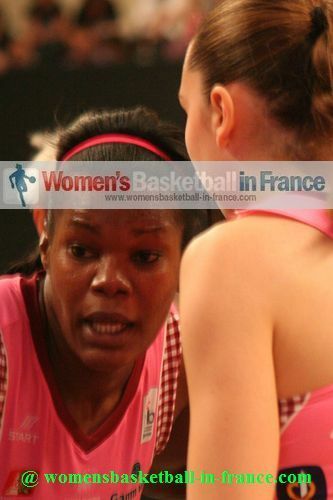 A l’entame de la deuxième mi-temps, Danielle Page, Mame-Marie Sy-Diop et Emilja Podrug continuèrent à dominer dans la raquette et leurs adversaires (53-32). A la fin du match, les Lyonnaises se relâchèrent un peu mais remportèrent quand même leur Open LFB partie avec un avantage considérable (75-63).